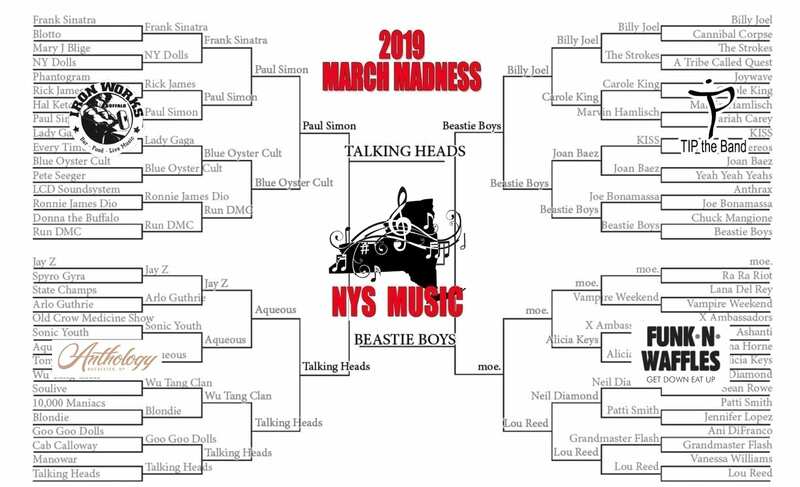 Two groups who got their start in New York City, who both have been inducted into the Rock n Roll Hall of Fame and who are both immensely influential round out the finals of this year’s NYS March Madness. 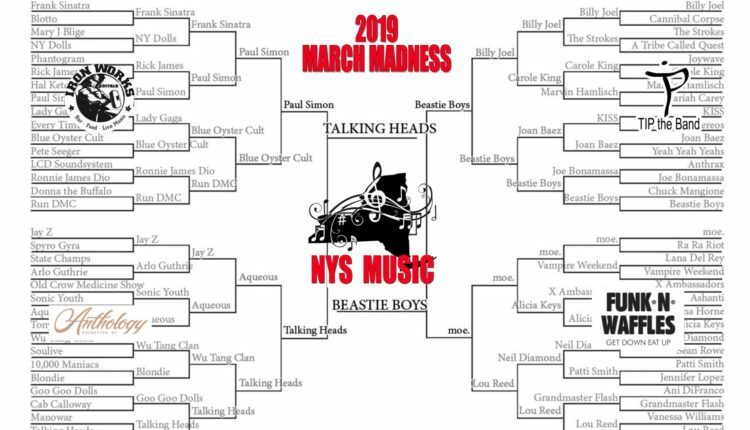 Vote below to decide who the greatest artist is to come out of New York State. Growing out of the 1970s punk scene in New York City, Talking Heads became an immensely popular band by the early 80s, influencing the likes of Vampire Weekend, Phish and many more. 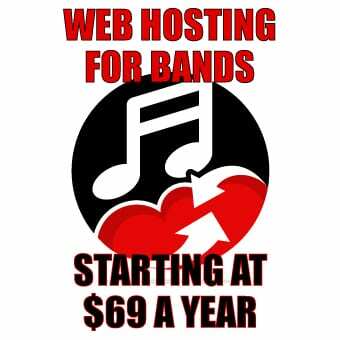 The new wave genre can be traced back to Talking Heads and their songs have become an irrevocable part of classic rock n roll from the 80s. “Once in a Lifetime,” “This Must be the Place (Naive Melody),” “Burning Down the House,” “Girlfriend is Better,” “Slippery People,” “Cities,” and “Road to Nowhere” are the tip of the iceberg of the hits that defined their career. Talking Heads only had a brief tenure as a band (1977-1991), but their impact has lasted more than twice the length of their career. While their tenure was shorter than fans new and old would have liked, the intense period from 1977-1983 is remarkable for their albums and touring history, a spawn of the CBGB scene. Collaborations with producer Brian Eno netted More Songs about Buildings and Food, Fear of Music, and arguably their greatest album, Remain in the Light. 1984’s Stop Making Sense continues to be heralded as one of the greatest concert films ever, and the Jonathan Demme film won a National Society of Film Critics Award for best non-fiction film that year. Although David Bryne, Tina Weymouth, Chris Frantz and Jerry Harrison may never perform together again, their music is timeless and the legacy continues to grow. So listen up, ‘cause you can’t say no to the Beastie Boys. One of the biggest names in hip-hop can be summed up into one hyphenated word: influential-chaos. It’s impossible to capture all of the audio-idiocracies in tracks like “Girls” or “Triple Trouble,” that mimic the chaos of New York City streets. As pre-teens growing up in 80’s pop-culture, the ‘Boys Entering Anarchistic States Towards Inner Excellence’ collapsed a mass of influence, and basically every musical genre, into one acronym. From the whitful inception of “Cookie Puss,” about a Carvel cake recorded overnight in a friends home studio, to their collaboration with Rick Rubin and rocking entirety of Woodstock ‘99 in a 200,000 person titlewave, the Beastie Boys dominate. Seven of the nine albums went platinum, in addition to selling over 50 million records across the globe makes them more influential than the five boroughs would have ever imagined. When they weren’t fusing jazz and metal loops with their punk roots, the group popularised the appeal of rap music beyond black culture with anthems like “Fight For Your Right.” Moreover, Beastie Boys influenced well beyond music speaking out on culture, politics and human rights issues in such a potent time in America. Issues we are still battling, thirty years later. Licensed to Ill is the most influential album of all time. It broke into Billboard’s top 100 as the first rap album. It was number one. Their music was potent, so potent riots broke out mid-set. They were influenced and then influenced the world. Beastie boys, and their music, stand toe-to-toe with relevant artists today, despite their disband in 2014. Vote now for who you think is the greatest artist to come out of New York State. You can vote on Twitter too! The winner will be announced on Monday, April 8.